Proper carpet care is essential to long-term consumer satisfaction with their floor covering purchase. The use of the correct vacuum cleaner can extend the life of carpet; contain the respirable particles generated by the vacuuming process, not damage to the carpet. The result is a cleaner environment. 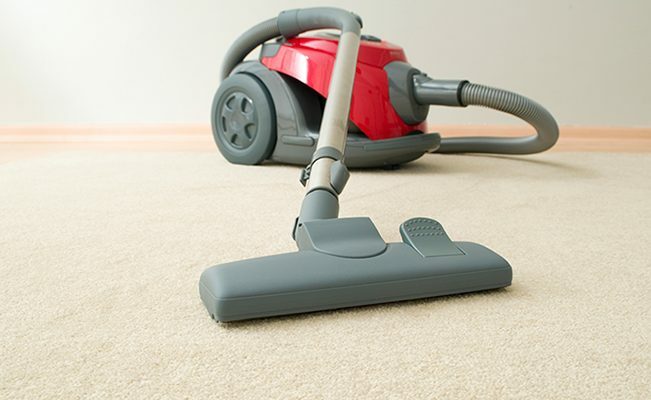 Some high pile carpets require alternative vacuums to ensure damage does not occur during vacuuming. These high pile styles are typically referred to as high nap frieze or shags. The majority of vacuum sales are of the type called “upright” machines that utilize a combination of suction, airflow and brush rollers to provide improved cleaning. While perfectly acceptable for maintenance of most carpets, these brush rollers may cause accelerated texture change in some high pile carpets. The texture change caused by the brush rolls on some machines can be severe and is typically irreparable. Additionally, damage can occur to the upright vacuum, such as broken drive belts, entwined brush rolls and damaged motors. Currently, the type of vacuum that has been found most suitable for maintaining high pile carpet is referred to as “straight air appliances”. They are different from the typical vacuum cleaners in that they do not have brush roll agitators. The preferred styles are a canister or central vacuum systems. These vacuum cleaner systems have three main components: the vacuum source, the floor tool or head and a flexible hose connecting the two. Several manufacturers of straight air machines have designed floor tools specifically for high pile carpets. The design of the vacuum head can have a significant bearing on the vacuum’s ability to remove soil and groom the carpet. Cleaning efficacy o is enhanced when the carpet is vacuumed from multiple directions as opposed to straight line back and forth movement. Not all floor tools currently sold with homeowner canister vacuums are suitable, hence the need for a purpose-designed floor tool. A correctly designed tool l glides easily and has no brushes or Velcro type rub strips that can fray the carpet tufts. Suitable floor tools for high pile carpets are available as retrofit items for the residential canister vacuums on the market today, although many are not readily available at retail outlets. The CRI suggests contacting one of the following vacuum cleaner floor tool manufacturers and request their floor tool for high pile carpets. Read the entire Vacuums for High Pile Carpet Technical Bulletin.